The Adelante Movement: Let's get back on the horse! Let's get back on the horse! 2. 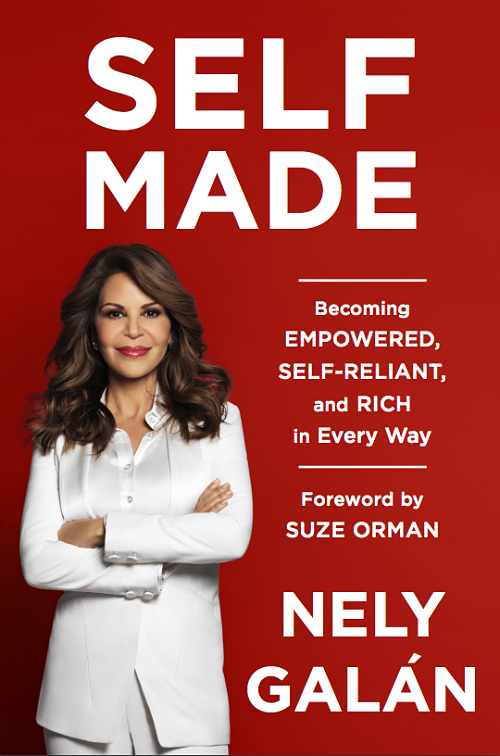 Get a free copy of my book, SELF MADE, inspired by many of you and your stories! Now, it’s been a busy beginning of the year! I have been on the road meeting many of you, and I am also about to launch my book, SELF MADE: Becoming Empowered, Self-Reliant, and Rich in Every Way (Random House, May 31st 2016). I cannot lie, it has been hard to take on an endeavor like this, and I carry you all with me. I often wonder, if this has been so hard for me and I have age, wisdom, experience, contacts, partners and 30 years of experience on my side, I can only imagine how hard it is for all of you in your journey to forge a new path, to break out of your comfort zone and create a new reality for your yourselves and your families. That is why we all have to support each other. I recently met Angela Hill Quiñones, from Jersey City, at a WeConnect event for the city of New York, where they are empowering 5000 women in entrepreneurship. She had worked for years as an assistant, catering on the side, (which was her dream) until she had saved enough money to buy her own restaurant, "Mi Colombia.” Then, the post Hurricane Sandy economy, as well as street repairs on her restaurant’s block, forced her to close down her restaurant. But through her tears, she told me she wasn’t giving up. She is now working at the company she worked at prior to the restaurant and she is now catering under the “Mi Colombia” banner. She is once again back on the horse, saving money to open her next restaurant. Uncontrollable circumstances entered her life, but she must use that pain to get her restaurant back, better than ever. We cannot give up on the road to becoming self-made. We told you in the beginning of the year that we had gotten our first Latina, Jovanka Ciares on a mainstream TV show, through our Crossover Casting initiative with Hollywood Casting director, Sheila Conlin. Jovanka Ciares, who is a self-made wellness expert, has not given up either. She was a an exec in the music industry and became sick. Through her pain, she changed her career and started her own wellness business. Join me in an exclusive webinar with Sheila and Jovanka, where we break down for you how Jovanka did it, what her experience was like, and how you can do it too. The Adelante Movement’s first LIVE Webinar of the year, presented by The Coca-Cola Company is "How to Build Your Brand & Business on Reality TV", on Tuesday, April 26th @ 10 am PST / 1pm EST. 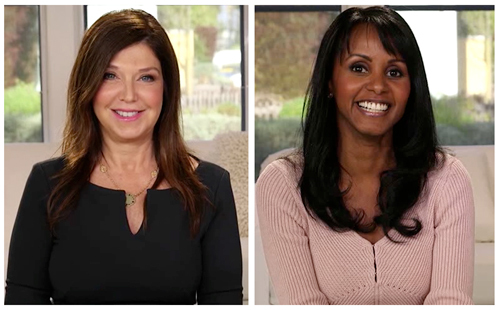 I’ll take you through the steps and preparation for how to get on a reality show with special guests, Sheila Conlin, Hollywood’s Reality TV Casting Director, and Jovanka Ciares, Wellness Expert and the first Adelante woman to be on a reality show. I’m so proud to present to you all my book, SELF MADE: Becoming Empowered, Self-Reliant, and Rich in Every Way (Random House, May 31st 2016). Everything I have ever spoken to you about, and much more, is in the book. Here’s the best part: so many of you are featured in the book—SURPRISE!!! And there will be even more of you on the website. No matter what has happened to all of us, what difficult things we have experienced, let’s get back on the horse together!